Is there a second Earth out there in space? The knowledge of extra-solar planetary systems is rising as new technologies sharpen the view of distant objects. To date, 3,700 planets have already been discovered outside the solar system. The planetary masses and radii of these exoplanets can be used to infer their mean density, but not their exact chemical composition and structure. The intriguing question about what these planets could look like is thus still open. "Theoretically, we can assume various compositions, such as a world of pure water, a world of pure rock, and planets that have hydrogen-helium atmospheres and estimate the radii expected," says Michael Lozovsky, a doctoral candidate in the group of Prof. Ravit Helled at the Institute for Computational Science at the University of Zurich. 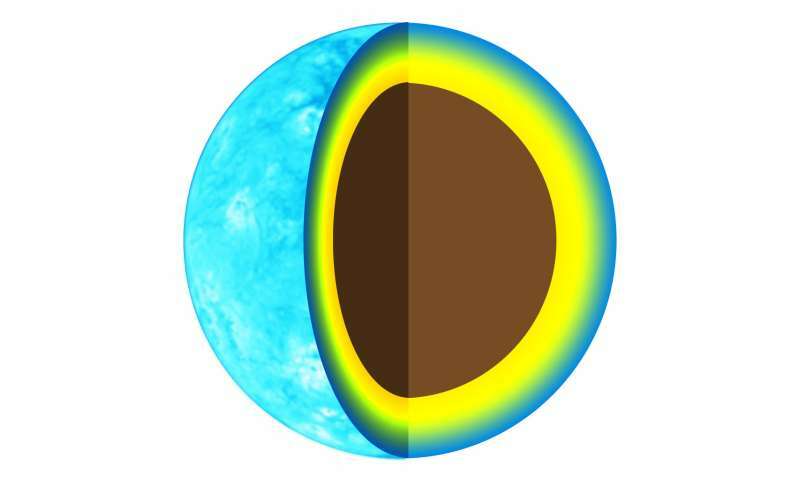 Lozovsky and collaborators have used databases and statistical tools to characterize exoplanets and their atmospheres. Exoplanets are fairly common and surrounded by a volatile layer of hydrogen and helium. However, the directly measured data previously didn't allow the researchers to determine the exact structure, since different compositions may lead to the same mass and radius. 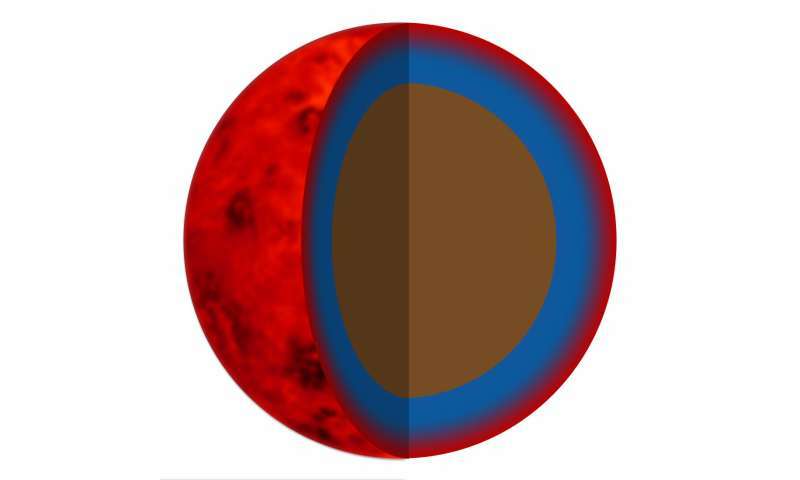 In addition to the accuracy of the data relating to mass and radius, the research team also investigated the assumed internal structure, temperature and reflected radiation in 83 of the 3,700 known planets for which the masses and radii are well-determined. "We used a statistical analysis to set limits on possible compositions. Using a database of detected exoplanets, we found that every theoretical planetary structure has a 'threshold radius,' a planetary radius above which no planets of this composition exist," explains Michael Lozovsky. The amount of elements in the gaseous layer that are heavier than helium, the percentage of hydrogen and helium, as well as the distribution of elements in the atmosphere are important factors in determining the threshold radius. The researchers found that planets with a radius of up to 1.4 times that of Earth (6,371 kilometers) can be Earth-like, i.e., have a composition similar to Earth. Planets with radii above this threshold have a higher share of silicates or other light materials. Most of the planets with a radius above 1.6 radii of the Earth must have a layer of hydrogen-helium gas or water in addition to their rocky core, while those larger than 2.6 Earth radii can't be water worlds and therefore might be surrounded by an atmosphere. Planets with radii larger than four Earth radii are expected to be very gaseous and consist of at least 10 percent hydrogen and helium, similar to Uranus and Neptune. The findings of the study provide new insights into the development and diversity of these planets. One particularly interesting threshold concerns the difference between large terrestrial planets—otherwise known as super-Earths—and small, gaseous planets, also referred to as mini-Neptunes. According to the researchers, this threshold lies at a radius of three times that of Earth. Below this threshold, it is therefore possible to find earth-like planets in the vast expanse of the galaxy.